RRB Application Status 2018: RRB Gr-D Application Status has been released. Applicants are advised to check the RRB Application Status from this page. RRB Gr-D Photo Modification Date Has been Extended. Contenders may hit below provided RRB Application Status Link to re-upload passport size Photos. Now, contenders can upload passport size photographs again till 28-07-2018 30-07-2018 for Group D. Thereafter decision of Boards regarding validity of photographs shall be final and binding and no further representations shall be entertained. Important Notice has been released for candidates of CEN 02/2018-Level-1 Posts regarding Modification of Invalid Photographs. Revised status is being emailed to individual candidates also. You can check the RRB Application Status 2018 from here. Railway Recruitment Boards have decided to give a one time opportunity to those applicants, whose photographs have not been found valid, to modify their photographs. Candidates can upload proper passport size photograph on or before 28-07-2018 30-07-2018. How To Check Railway Application Status 2018-19? Candidates can check Status of RRB Application for ALP/ Technician/ Group D by pressing the direct link as well as going through the given hassle free steps also by the team members of www.privatejobshub.in. Apart from it, Indian Railways will also send email and SMS to registered email id and mobile to convey status. In order to know more about RRB Application Status 2018-19, move your cursor downwards on this page as soon as possible. In order to check State Wise RRB Application Status 2018 ALP you are suggested to hit the appropriate link which is given below. By pressing that link, you need to enter some details for log in and (CEN) No.01/2018 (RRB Recruitment of Assistant Loco Pilot (ALP) & Technicians) Application Status of your state will be shown. Board Wise RRB Application Status Group D 2018 is available here. Applied contenders for Group D Vacancies are suggested to hit the link of their Board to check Application Status for CEN No.02/2018 (Recruitment for Posts in Level 1 of 7th CPC Pay Matrix). Step1: At the very first step, contenders are suggested to reach to the official website of Railway Recruitment Board (any one). Step2: Now you are required to go through the appropriate link which is well mentioned below to check RRB Application Status for Loco Pilot. Step3: By pressing that link you are suggested to hit the appropriate link of your state. 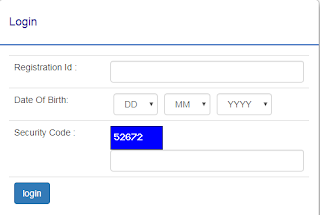 Step4: Enter Registration Id, Date Of Birth and Security Code in appropriate manner. Step5: Take a preview of the complete details and hit “Login” tab. Step6: Finally, RRB ALP Application Status 2018 will display on screen. Step1: Visit the official websites of Railway Recruitment Board (any one). Step2: Hit the given link of RRB Application Status for Gr D.
Step3: Follow the appropriate link of the applied board for RRB Group D Online Application Status on this new page. 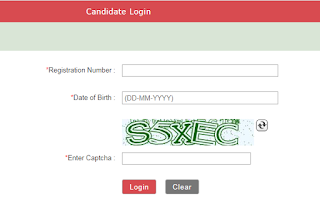 Step4: Enter Registration Id, Date Of Birth and Captcha Code in appropriate manner for log in. Step5: Recheck the details in appropriate manner and hit “Log in” tab. Step6: Finally, Indian Railway Group D Application Status 2018 will display on screen. After the scrutiny of RRB Online Application Form, Indian Railway has released the Railway Group D Rejected List. For more details regarding RRB Rejected Application Status 2018 Group D, move your cursor downwards on this page. In order to know more about RRB Application Status 2018-19, you may connect with our portal also. You may bookmark our portal by using CTRL + D or subscribe our free email service for direct updates on your timeline.